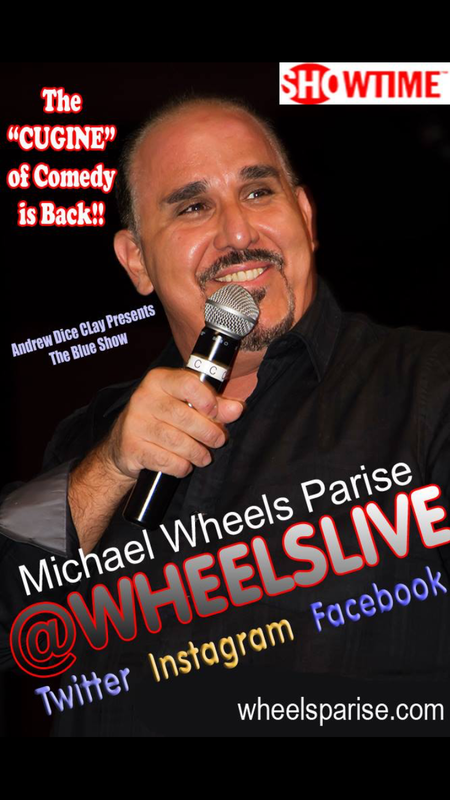 Here are some updated dates for Wheels Live! Some are with Andrew a Dice Clay. June 12-13 Stress Factory- New Brunswick NJ. June 17th- Sands Event Center- Bethlehem PA.
June 19th – Horseshoe Casino- Hammond IN. June 24th-27th Governors Comedy Club. Levittown Long Island, NY. July 23-24-25- SLS Hotel and Casino, Las Vegas. September 11-12 Rochester Comedy Club, Rochester, NY. October TBA- Italian Bad Boys of Comedy Tour.